Don’t have an account? 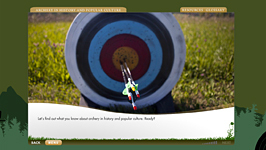 It’s easy to signup and get your archery course started. All lessons are shot in high definition, are clearly narrated and provide detailed explanations. For either recreation, competition or hunting, our instructors provide a fantastic course for the novice archer.